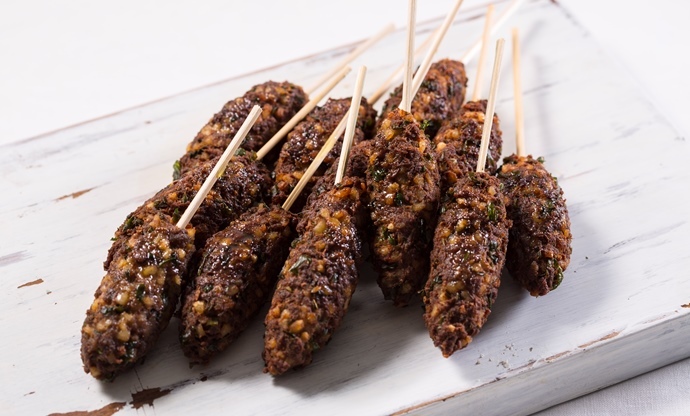 From grilled skewers of melt-in-the-mouth meat to fluffy fritters and hearty stews, Brazilian street food encompasses a huge range of flavours and culinary influences from virtually every continent. 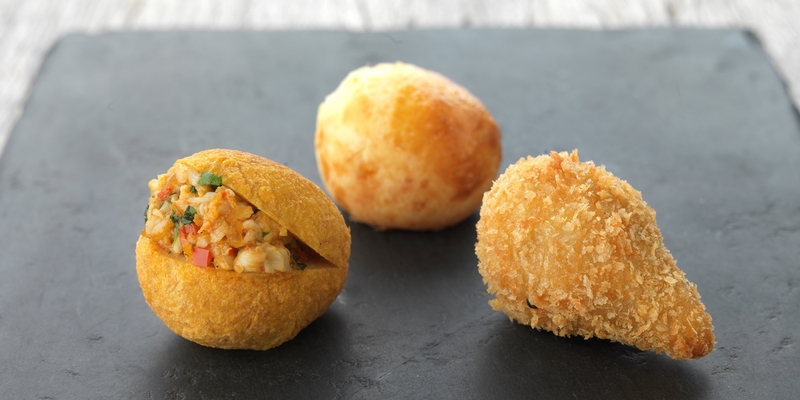 Sure to make your mouth water, these are our top ten street foods to look out for from Brazil. Almost more so than any other country, the food scene in Brazil is a culinary melting pot merging influences from all over the world. 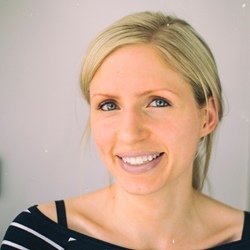 Ingredients and traditions from as far afield as Africa, Japan and Portugal intermingle with the native landscape of coastline, farmland, mountains and jungles to create a wonderful mish-mash that is often best seen (and tasted) right out on the street. The world famous Rio carnival is a perfect example; all elements of Brazil’s rich culture and heritage celebrated throughout the city with food, drink, dance and music playing equal parts in this all-encompassing celebration. 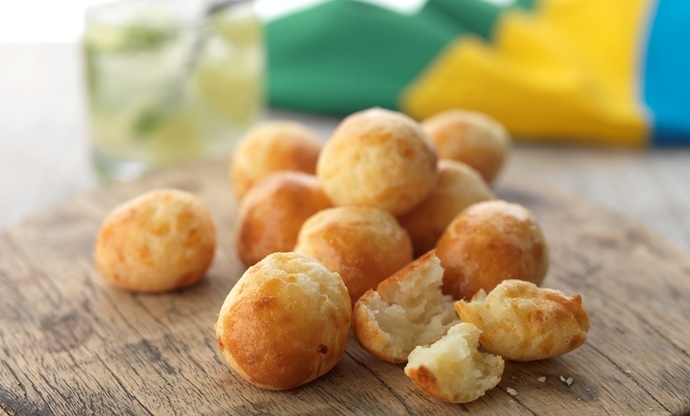 From sweet treats to salty snacks, here are our top picks of classic Brazilian street foods to try for yourself. Barbecuing meat is something the Brazilians do very well. Churrascarias are specific barbecue restaurants which can now be found all over Brazil, but the tradition comes from the Gaucho culture of the south, where cowboys would cook meats skewered on metal spits over hot coals, seasoned simply with rock salt. The prime cut of meat now associated with this style of cooking is picanha – the top part of sirloin steak. This has a thick layer of fat which ensures the charred, smoky meat just melts in the mouth. A crisp, deep-fried pastry, this portable snack found mainly in the southeast of the country (particularly in São Paulo) is the perfect street food. Served hot as an accompaniment to drinks, the pastéis can be stuffed with any number of savoury fillings, from chicken or ground beef to heart of palm or melting cheeses. Sweet versions can also be found, usually flavoured with tropical fruits, chocolate or caramel. 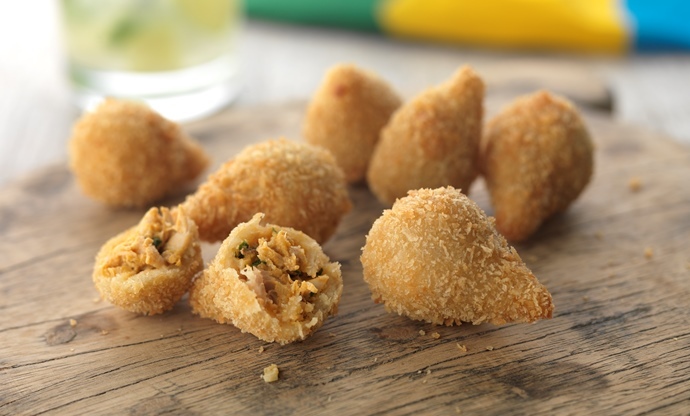 Another deep-fried classic from São Paulo, coxinha are crunchy croquettes usually made with a filling of shredded chicken and Catupiry (a soft, creamy cheese). The filling is surrounded by a layer of dough, then coated in golden breadcrumbs before frying to create the perfect crunch. Often shaped like a teardrop, this is thought to represent the shape of a chicken thigh which would have originally been used for the filling. Now found throughout Brazil, these little, light fluffy buns originated from the southern region of Minas Gerais. Essentially ‘cheese bread’, the dough is a simple mix of cassava (tapioca) flour and soft cheese, usually the local queijo Minas. A great snack for anytime of day, these are particularly popular at breakfast, served either warm as they are or split and stuffed with more cheese or spread with jam. Kibe, quibe or kibbeh are little meaty snacks originating from Lebanon. 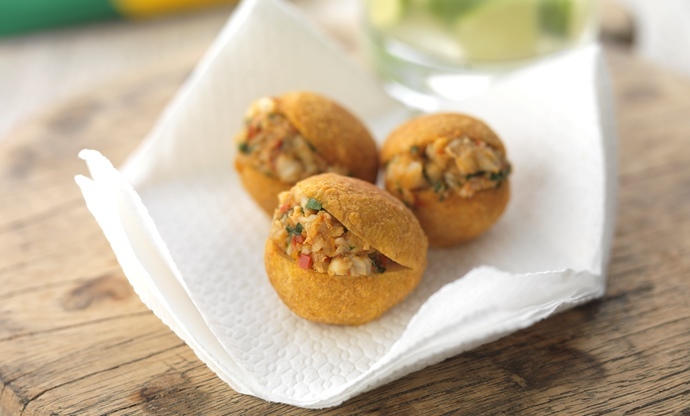 Bringing a Middle Eastern influence to Brazilian street food, the patties are formed from a mixture of minced beef (or lamb) and bulgur wheat. Seasoned with plenty of herbs and spices, fried kibe are found most often served by street vendors, although baked and raw versions are also available. Grown across the country, the cassava plant is one of Brazil’s most used ingredients. Often known as cassava, yuca, manioc or aipim, the whole plant is used in a variety of formats, most commonly as a starch (tapioca) or as a vegetable. Cut into batons and fried, mandioca (or aipim) frito are sold on street food stalls almost everywhere as the Brazilian alternative to the humble potato chip. 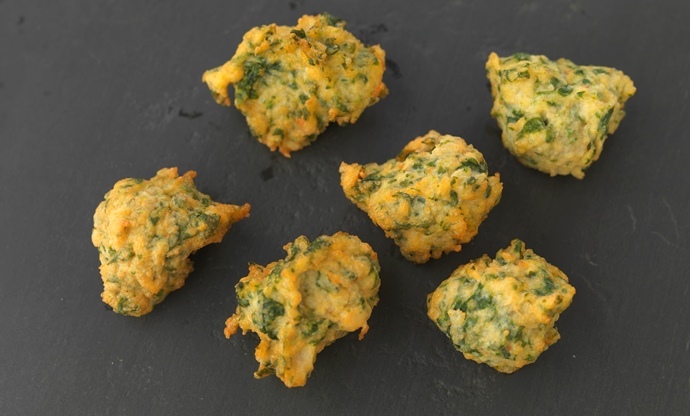 Literally meaning ‘little cod balls’, these tasty snacks are just that. Moreish fritters of salted cod and potato, they are fried to ensure a perfectly golden and crisp exterior while the inside remains deliciously soft and fluffy. The Brazilian passion for salted cod comes from the Portuguese influence on the nation’s cuisine, with bacalhau being a popular ingredient in many Portuguese and Spanish dishes as well. 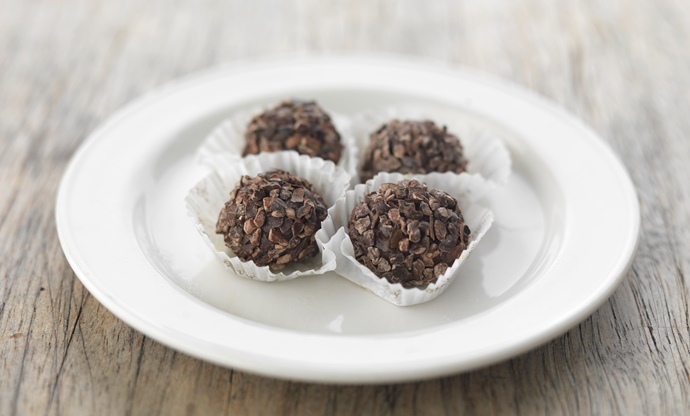 Particularly popular with children (or anyone with a sweet tooth), these chocolate sweets are the Brazilian equivalent of a simple truffle. Named after the famous 1940s political figure Brigadier Eduardo Gomes, the sweets became particularly popular during this time due to a lack of fresh ingredients during and following World War II. Made with just store cupboard ingredients (condensed milk and cocoa powder), they became an easy and accessible treat that remains popular at parties, carnivals and festivals today. 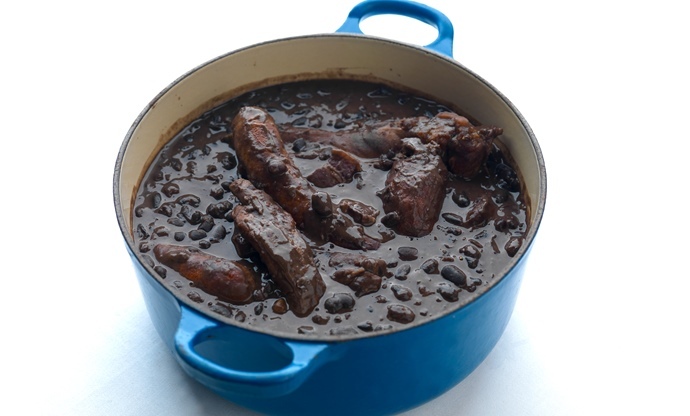 Often considered the Brazilian national dish, feijoada is a rich, hearty stew usually made with black beans and several different cuts of pork, including various offal. Found almost everywhere in Brazil, the original dish is most associated with the colonial population in Rio de Janeiro who tended to cook the less desirable cuts of meat in slow-cooked stews such as this. Caldinho de feijão is a lighter version, more like a rich bean soup (although still flavoured with meat) that is commonly sold in steaming mugs or bowls when the weather’s a little cooler. Not for the faint-hearted, acarajé are often full of heat and spice. 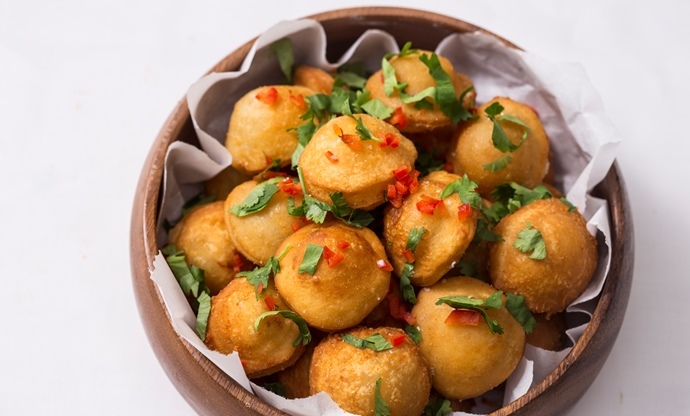 Deriving from an African influence on the cuisine of the northeast, acarajé are most associated with the region of Bahia and comprise of a fritter made of mashed black-eyed beans and onions which is deep-fried in palm oil. These are then normally split and stuffed with spicy fillings, most commonly vatapa – a mixture of bread, nuts, prawns, vegetables and spices.